Whiteface Mountain stands alone, separated from the rest of the High Peaks, presenting a ubiquitous presence that looms over Lake Placid and the northern Adirondacks. 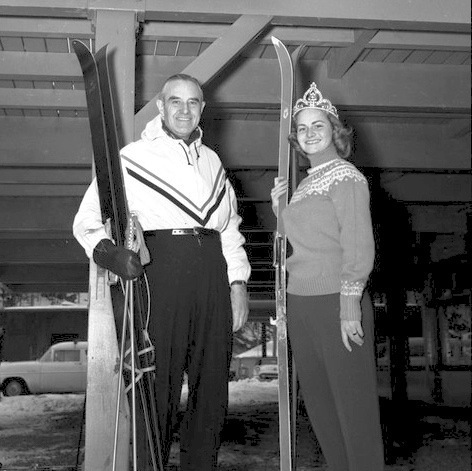 Likewise Whiteface Ski Center has a prominent place in the history of skiing. The ski area’s development is linked to key figures and milestones in the sport. Jackrabbit Johannsen, a legend in both nordic and alpine skiing, was involved in the early development of trails of the mountain’s slopes. The Whiteface Memorial Highway — which required a constitutional amendment to construct — was a first of it’s kind in the East, providing unprecedented access to high elevations. And Averell Harriman, a pioneer of the chair lift and governor of New York, was a driving force behind the development of the first trails on the slopes we ski today.